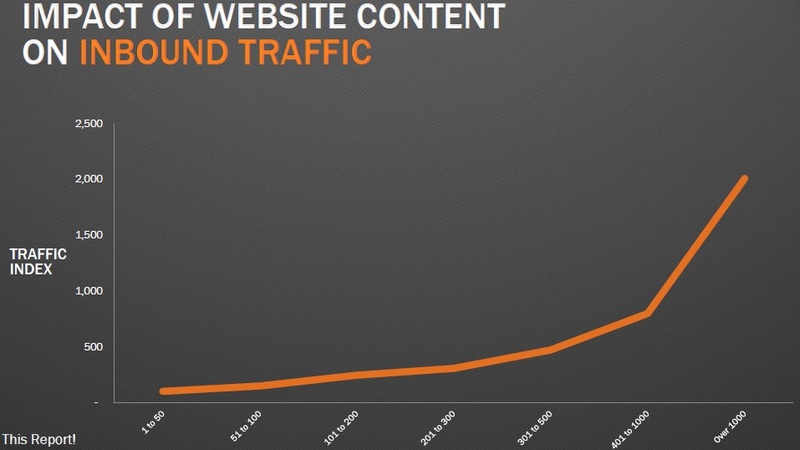 A telling report on this topic from Hubspot reveals all: research shows that ” What’s readily apparent is that all companies began to see substantial growth in site traffic once they increased content production to 15 or more articles per month”. 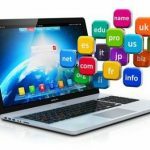 (http://www.thesocialmediahat.com/article/how-often-should-you-blog-ultimate-answer) Simply stated “…search engines are looking for content, so the more content you have, the better your site will rank for certain keywords, which results n more traffic. ” It was also found that, “…companies that get to 50+ blog posts begin to see a dramatic increase in site traffic. A company that goes from 100 articles to 200 articles will likely see a 59% increase in traffic” . There are numerous studies out there that show a positive correlation between content, including curated content, and traffic growth. One study notes that, “…consistent content curation provided not only impressive results on traffic growth but also lead generation conversion at a 12% rate. In addition to many other great benefits such as brand visibility, awareness, etc…”. 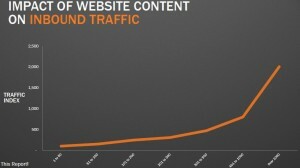 ( http://blog.scoop.it/2012/10/10/how-much-b2b-traffic-can-content-curation-bring-to-a-website-study-finds-464-growth-in-just-4-months/) In other words, quality content leads not only to an increase in website traffic but also in an increase in brand visibility and recognition of your product or service. But … what about quality? However, what is VERY important to note is that you will not get positive results from just writing and posting any old content. 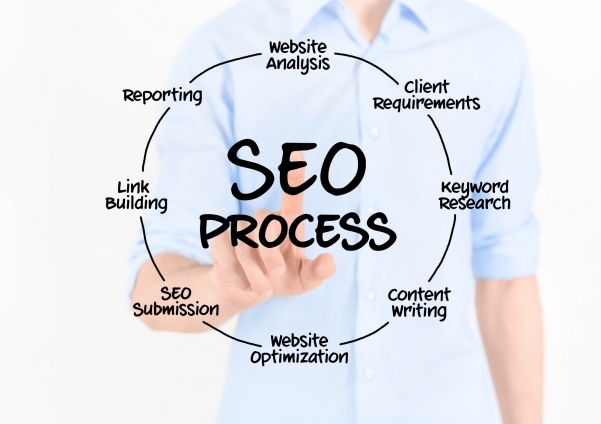 Google and other search engines are very wary of poorly written and spammy content; which means content that is overly laden with chosen keywords. What Google is looking for is content written for humans and not machines. 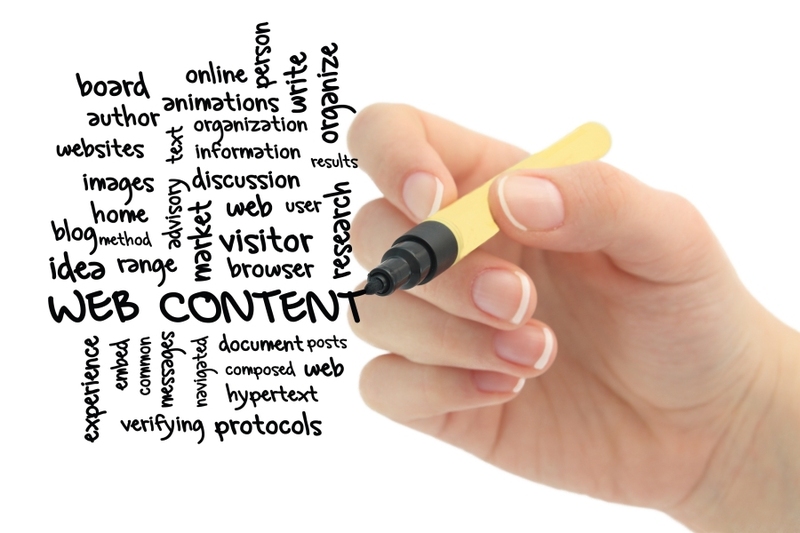 This means content is meant to be informative and useful, and not not an SEO trap. So, now we how the importance of quality content, how do you go about creating it? This is a question that cannot be glibly answered in a few sentences. The first step is to do extensive research about your target market or audience. consult your sales staff or customer care personnel to find out about client queries or question that can be used as a basis for content writing. Research keywords and topics on competitor sites. In essence, you need to find out what your audience needs to know and what type of content would play to your market. But, and this is the crunch, the most important ingredient is to write or create your content with enthusiasm and passion for your subject. Enthusiasm will shine through and attract readers and viewers. There is much, much more to this topic – we will be posting regular articles about this subject on this blog.